The tale of Billy Miner is richly stored through his way of becoming “the Gentleman Bandit”. That same railway runs just past our front door, affording our guests a vision of the past. The massive freight trains roar by while the gently flowing Fraser River poses as a serene backdrop. 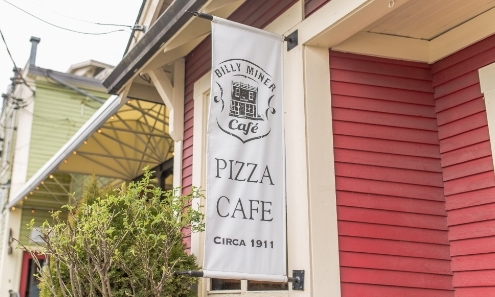 This isn’t just another gentrified tourist trap; Billy Miner provides an authentic alehouse experience that is steeped in its own heritage. 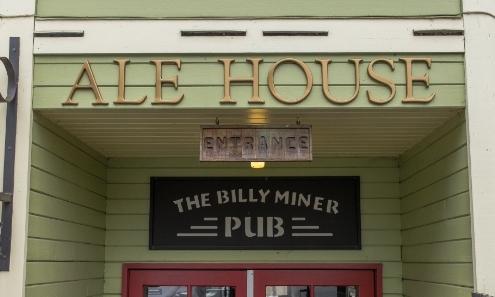 Billy Miner is first and foremost an alehouse, which means we really love good beer. We’ve partnered with our favourite domestic craft breweries to bring you some of the finest seasonal flavours you’ve ever had. If you don’t have a reason to celebrate, the beer itself might just give you reason enough to raise your glass one more time. At Billy Miner, everybody really does know your name! Our own staff are regulars when they’re not working, and we aim to create a sense of belonging and community with our guests. It’s easy to find reasons to celebrate too, since we’ve always got something fresh and new on our rotating tap. A good neighborhood hangout where the food is as authentic as the clientele is hard to come by. Whether it’s for dinner with the family or drinks after work, we invite you to take a load off, watch the trains go by and feel yourself at home! A lot of love and history has been put into our cafe. Please feel free to come by for a coffee and some baked goods. Our cafe is a cozy location to read a book, relax or catch up with a friend. You can also order from our full Alehouse menu too. We hope to see you in our cafe soon!